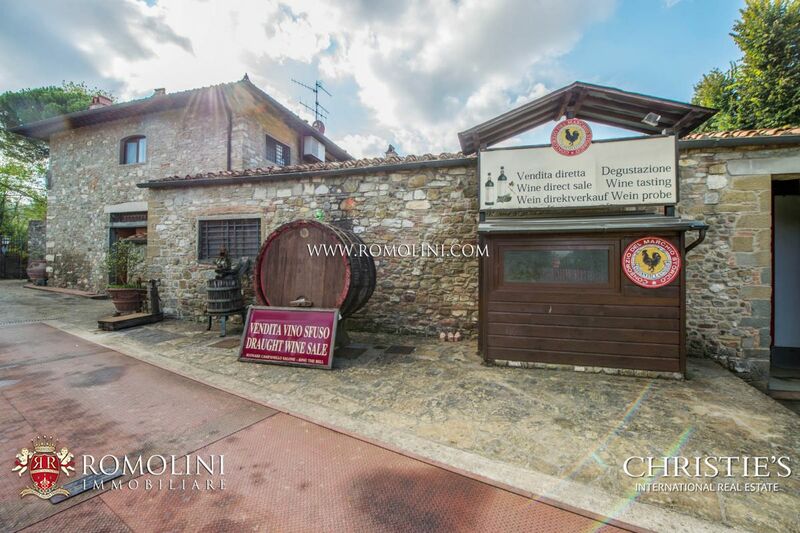 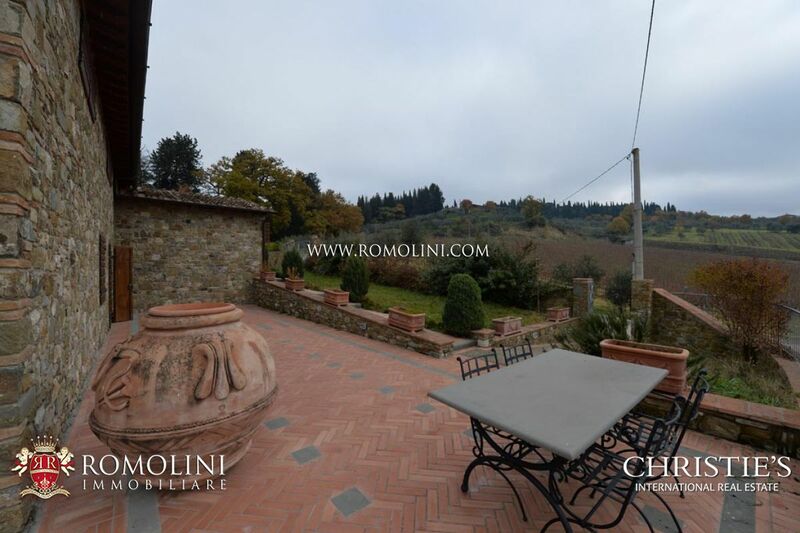 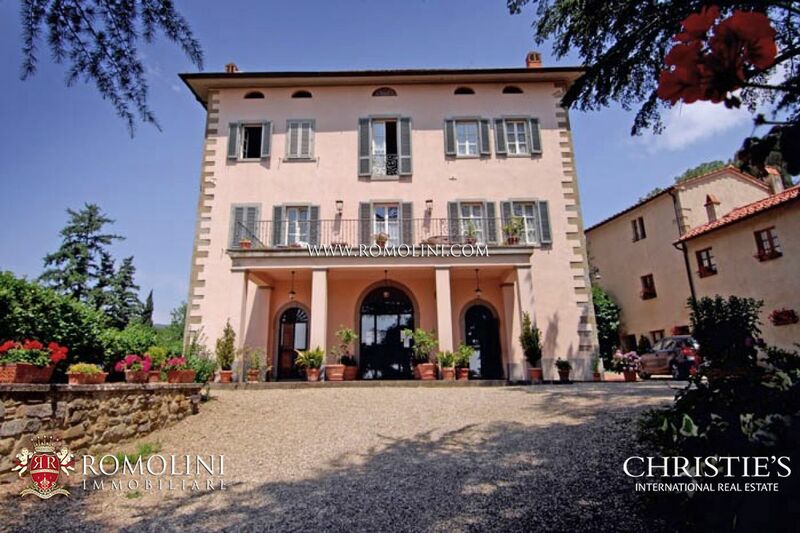 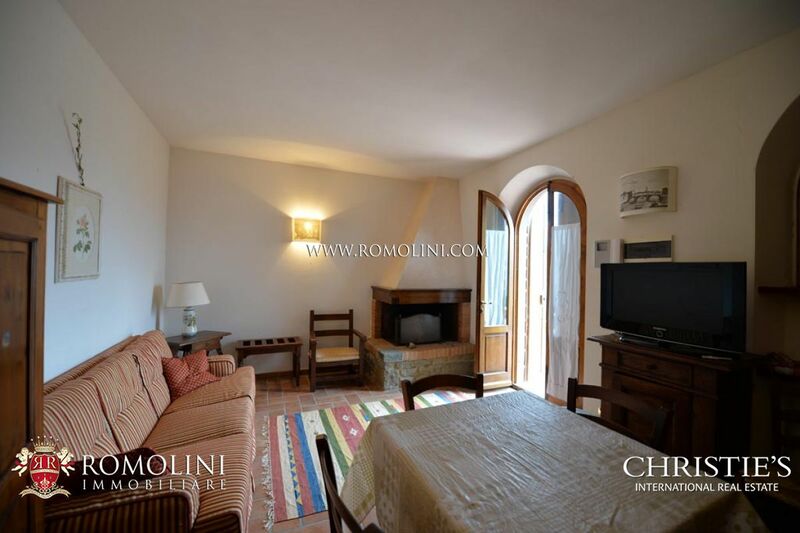 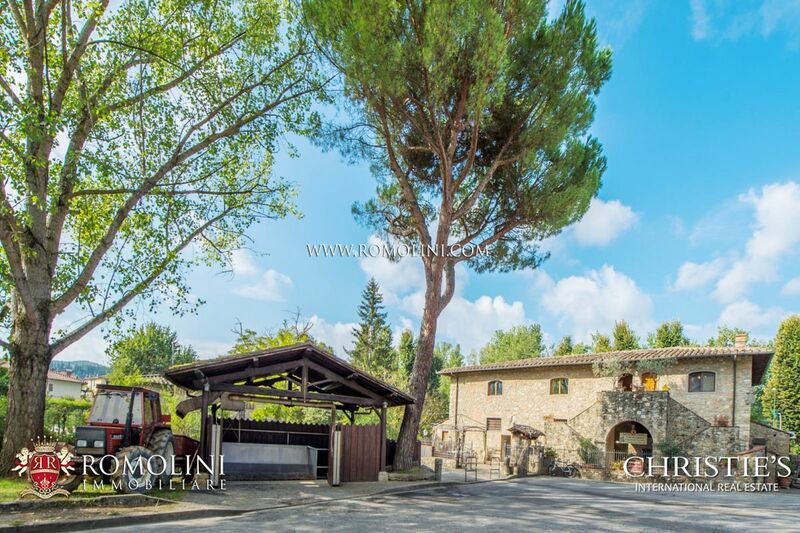 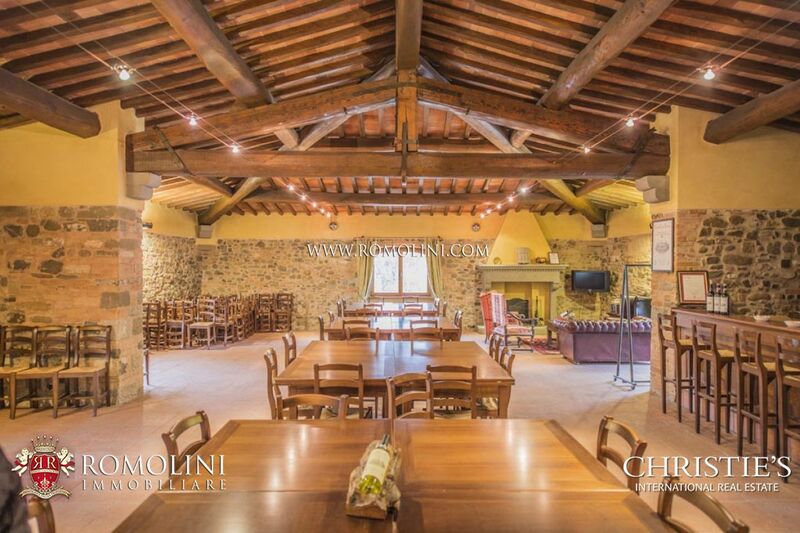 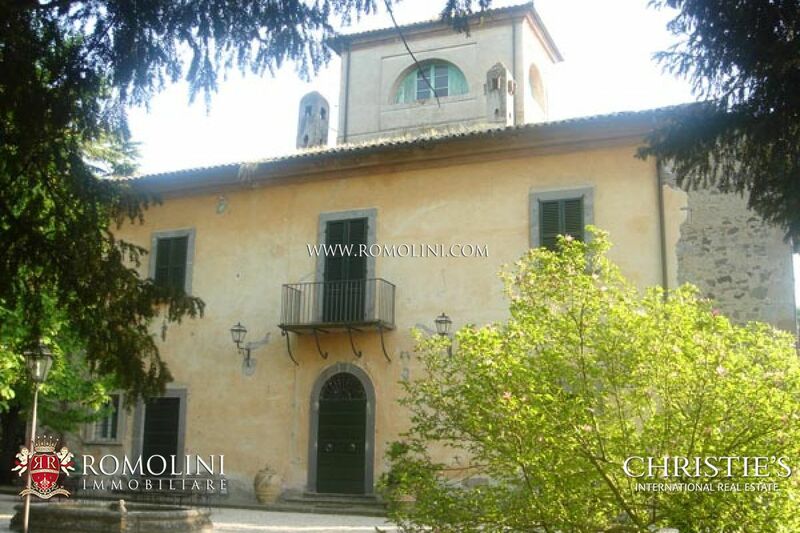 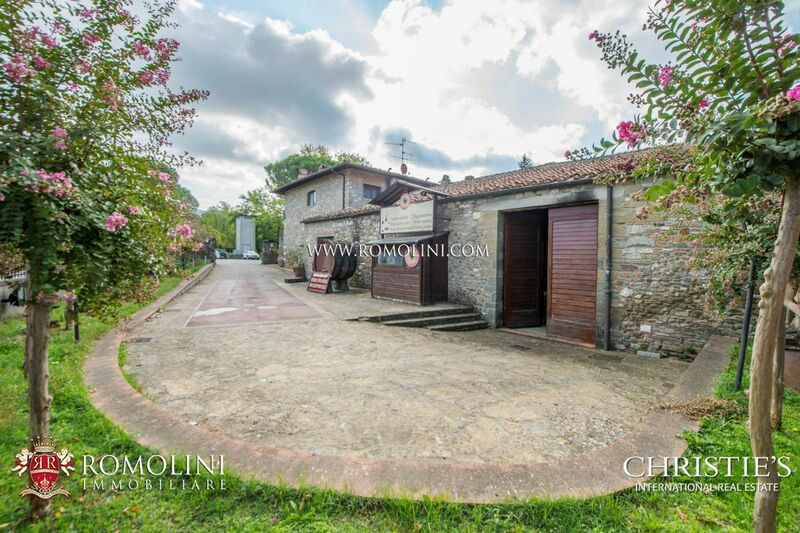 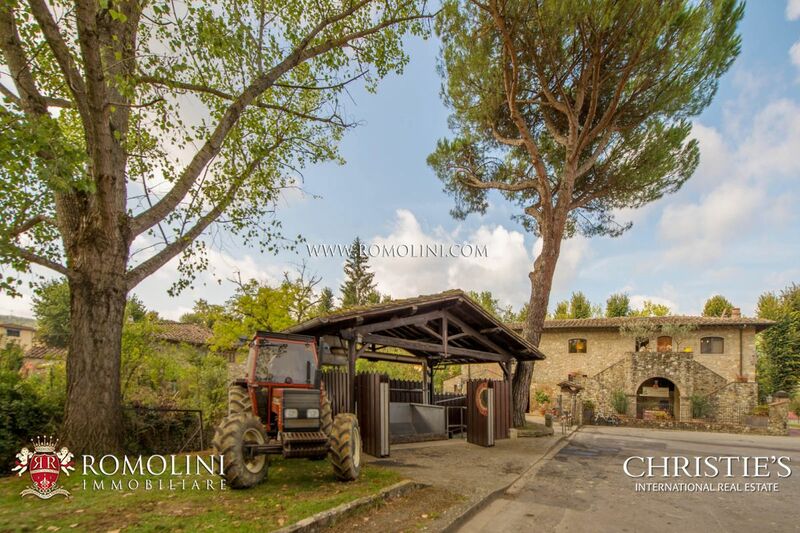 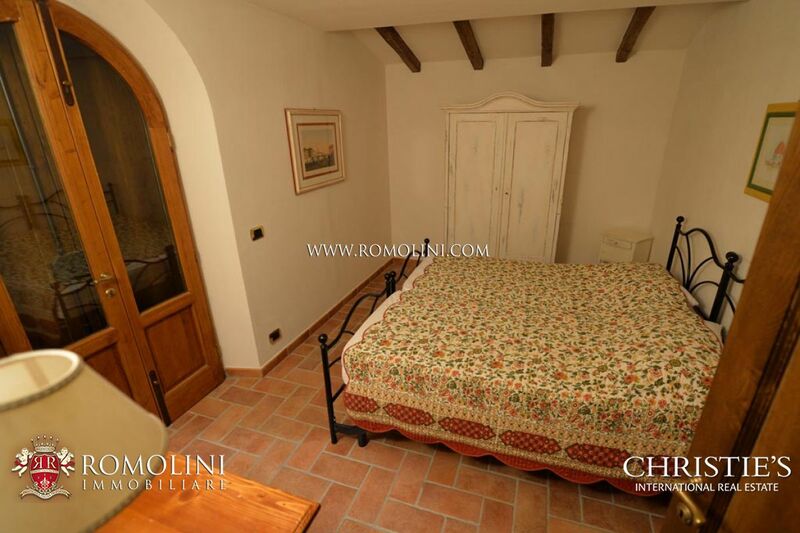 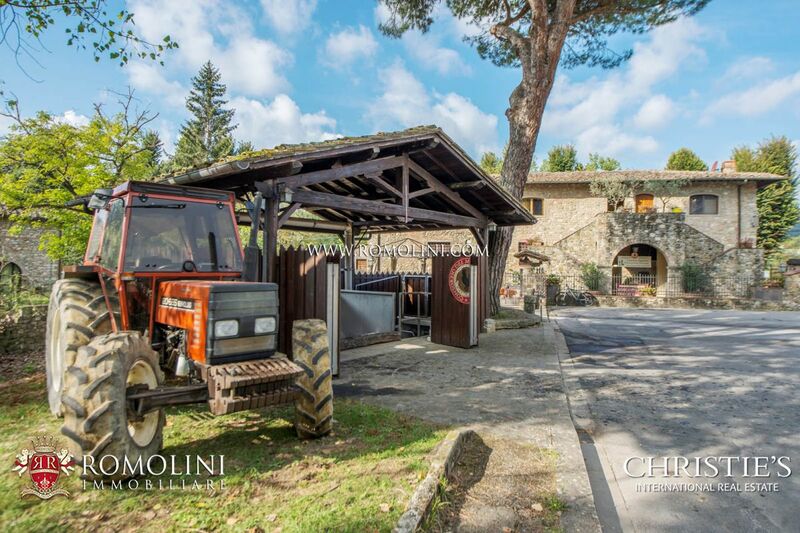 Among the harmonious hills of Chianti, just outside an historical centre with services, wine cellar with Agriturismo, vineyard and olive grove. 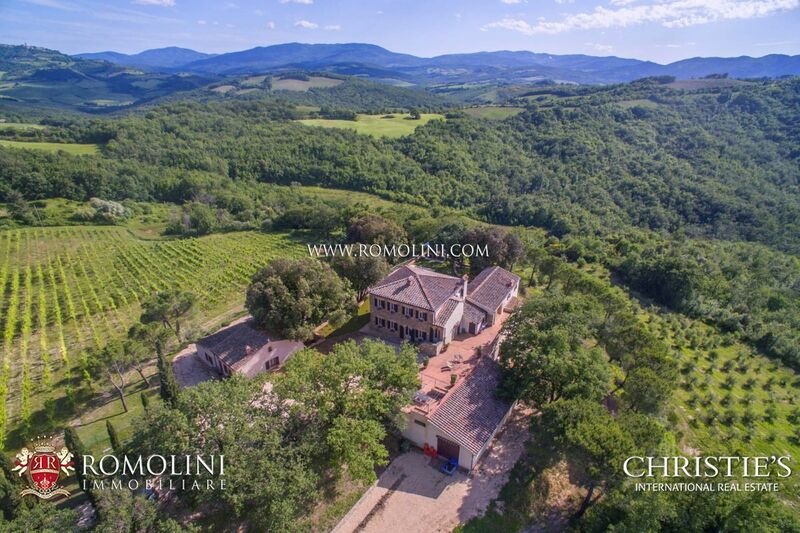 The closest and most easily reached centers are San Casciano Val di Pesa (18km; 30’), Florence (41km; 50’), San Gimignano (45km; 1h), Siena (45km; 56’), Montalcino (83km; 1h 35’), Montepulciano (106km; 1h 30’), Pienza (113km; 1h 40’) and Pisa (124km; 1h 35’). 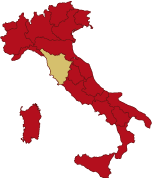 Gli aeroporti di servizio sono Firenze Peretola (39km; 45’), Pisa Galilei (107km; 1h 25’), Bologna Marconi (131km; 1h 45’), Perugia Sant’Egidio (157km; 2h), Roma Ciampino (284km; 2h 55’) and Roma Fiumicino (303km; 3h 5’). 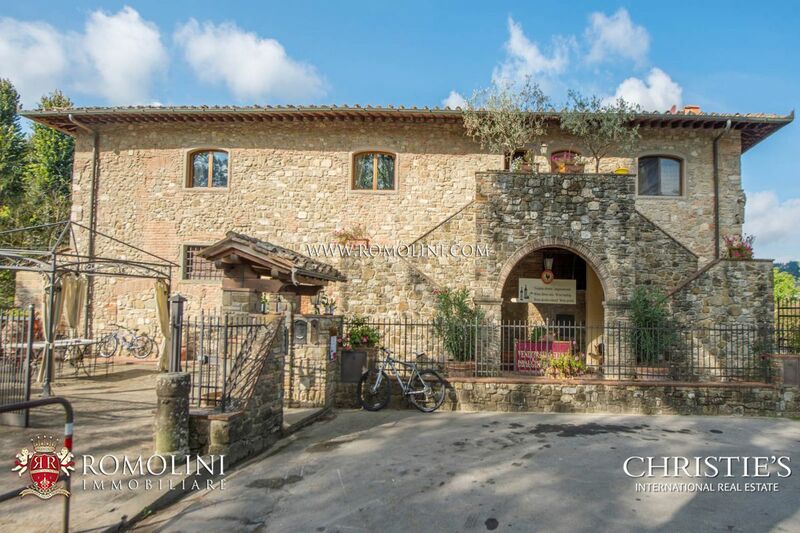 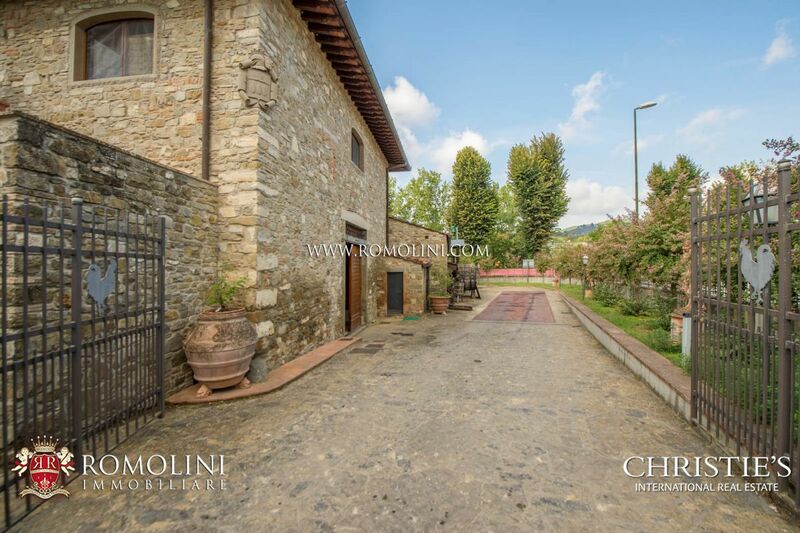 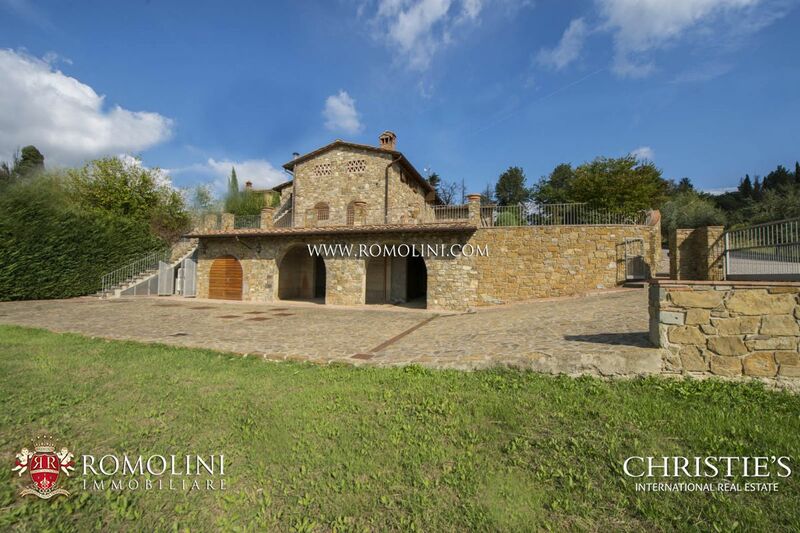 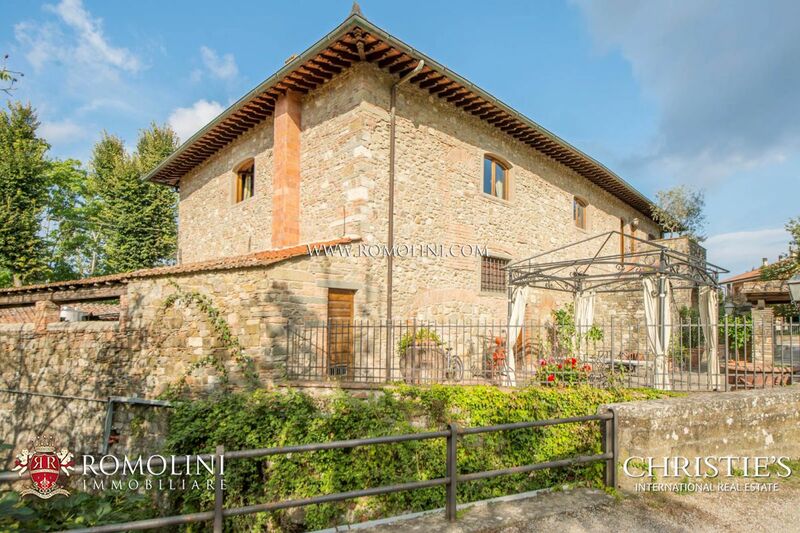 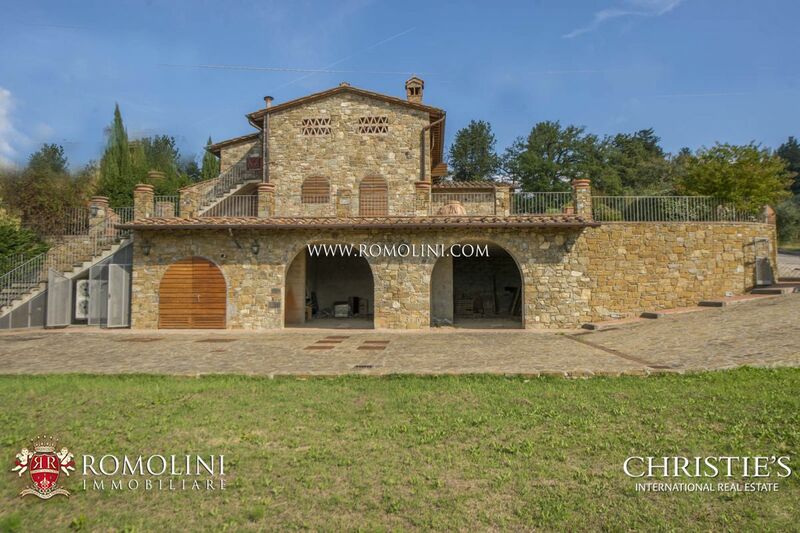 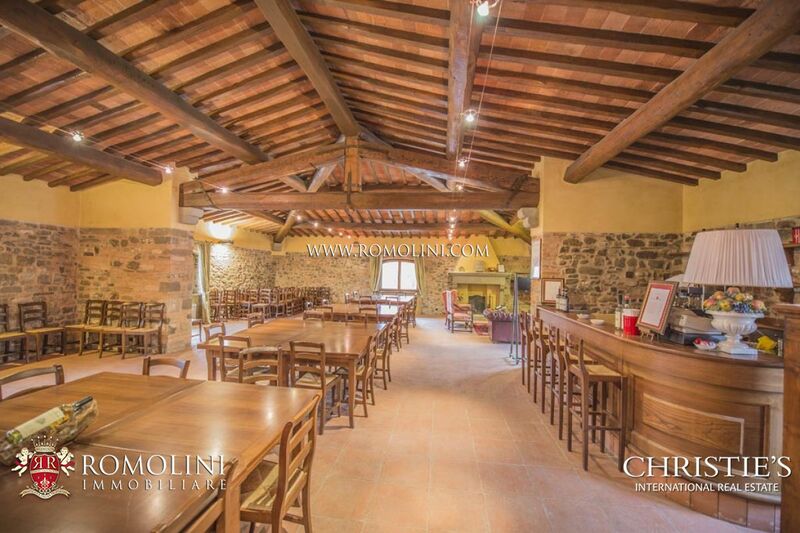 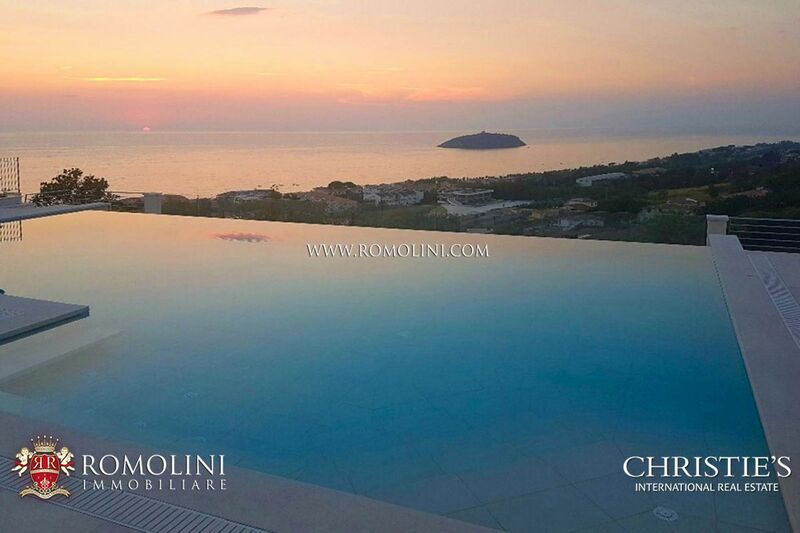 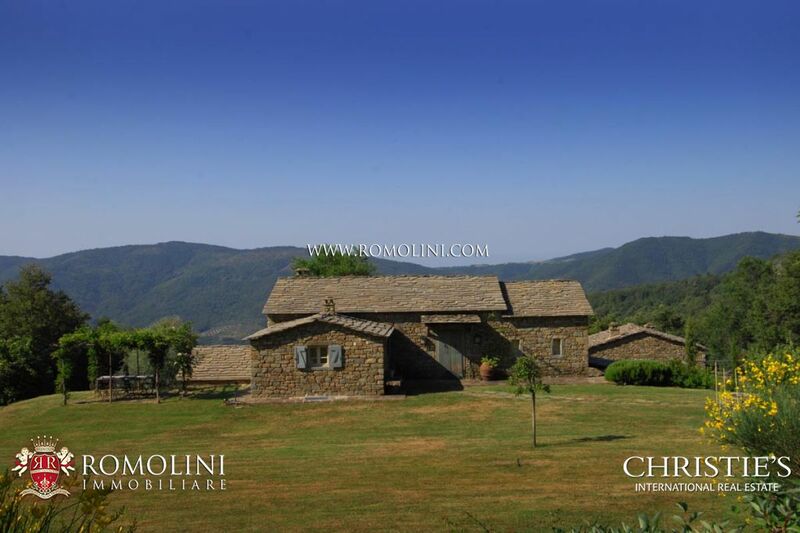 The Tinaia has a total surface of 1,500 sqm (16,140 sqft) and is disposed on two floors, boasting typical features of the Chianti farmhouses, with a typical Tuscan stone construction and internal layout. 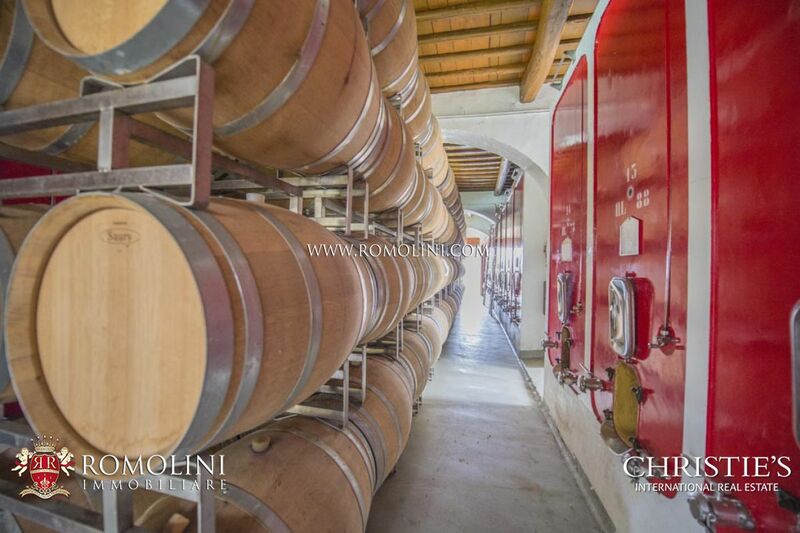 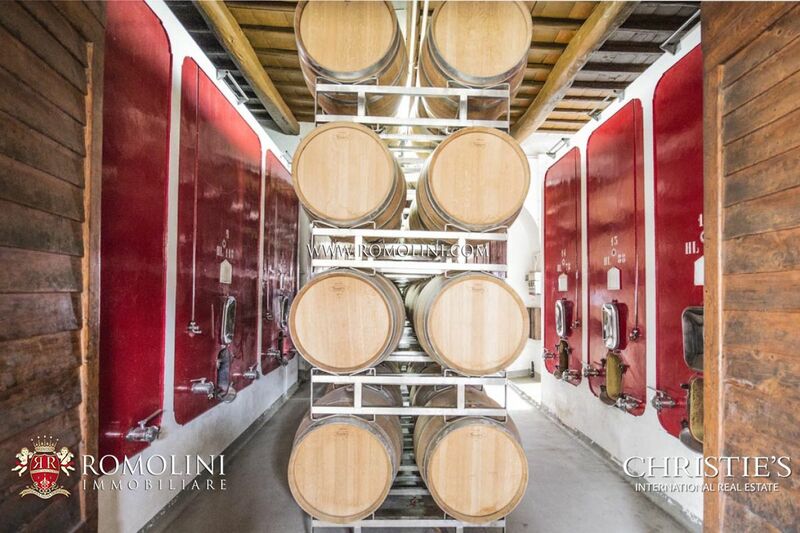 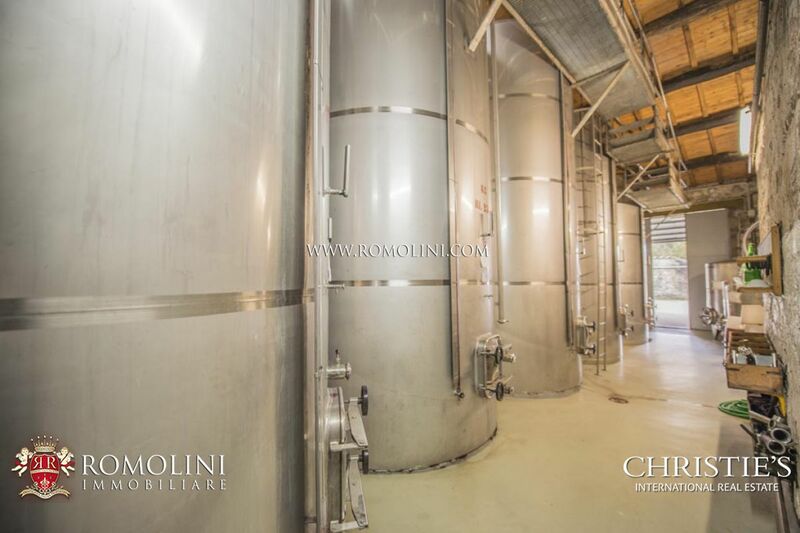 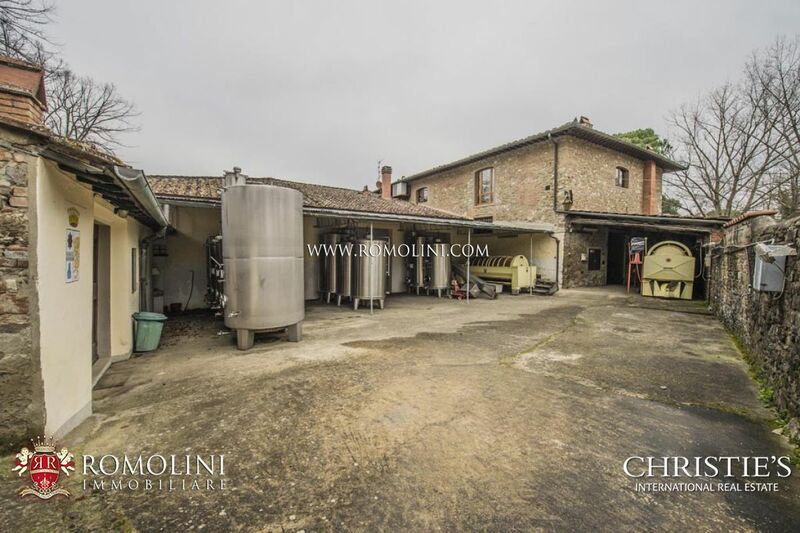 The ground floor (850 sqm – 9,146 sqft) includes a room used for wine-making, completely geared with barrels for wine ageing, concrete tins and any additional necessary equipment. 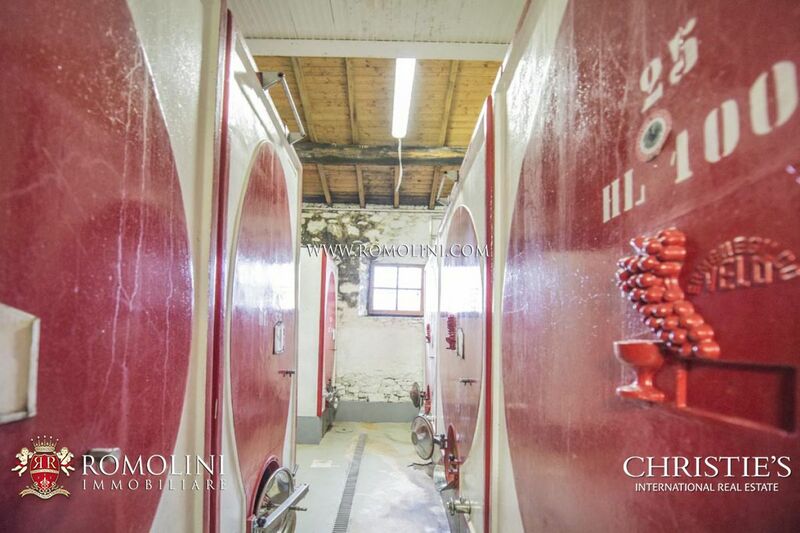 This is also the room where the conservation, storage, bottling and packing happen. 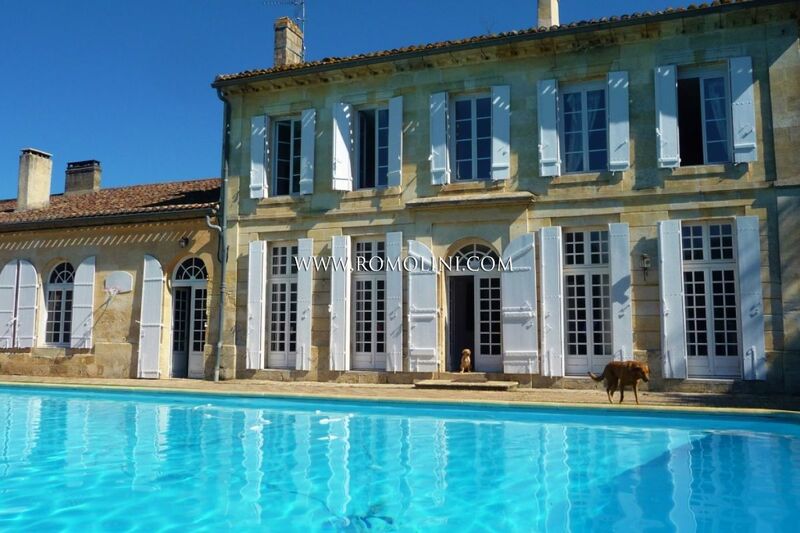 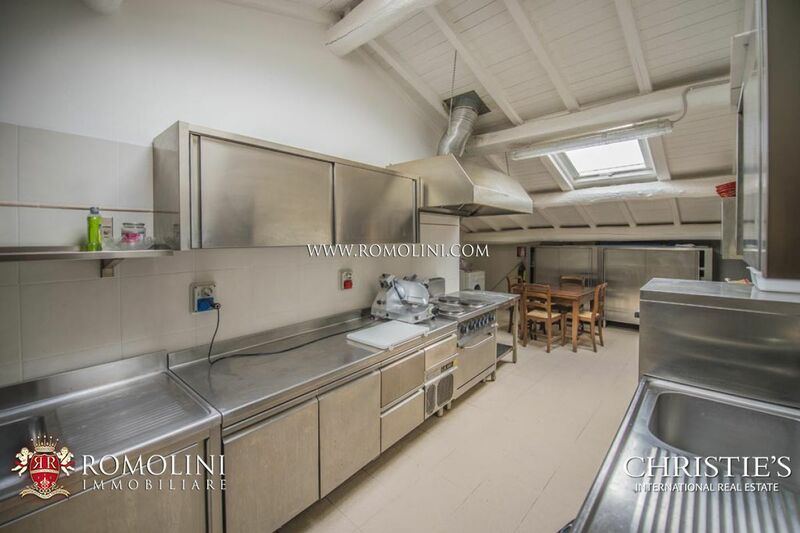 There are bathrooms and vestibules next to it, as well as a professional kitchen. 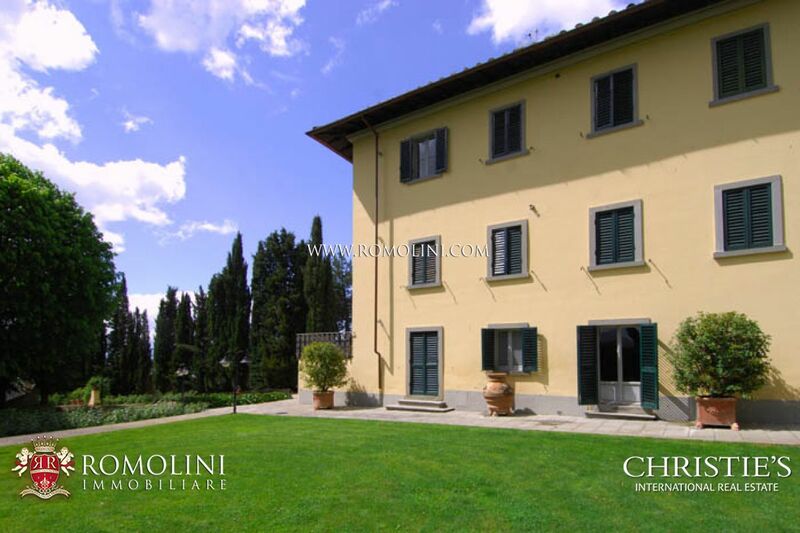 The first floor includes some boardrooms, show room and a 90 sqm (968 sqft) apartment. 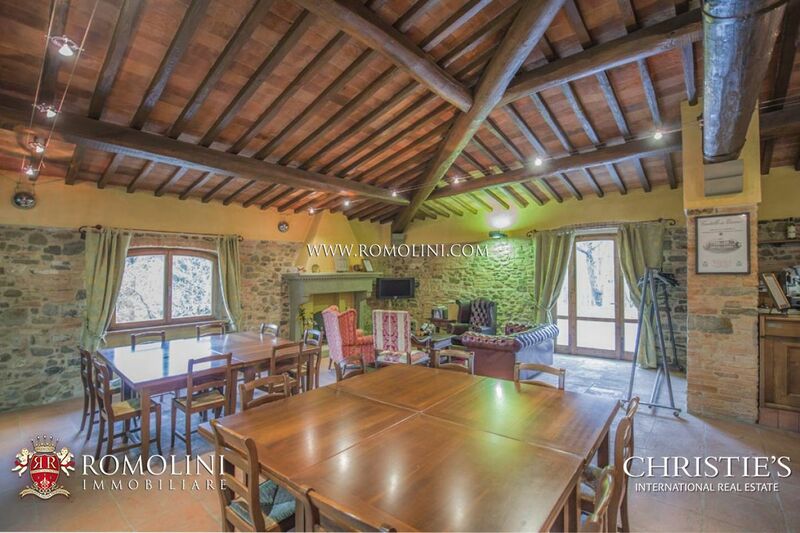 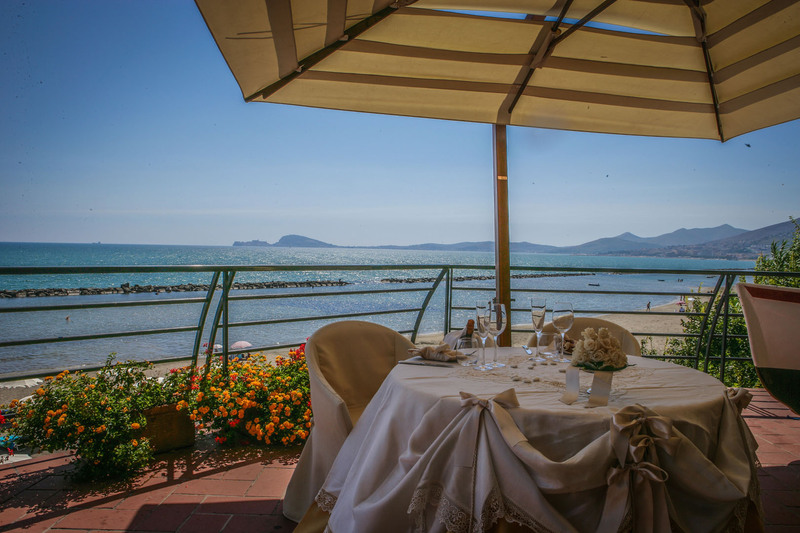 The hall (150 sqm – 1,614 sqft) placed next to the apartment is equipped with electrical system, heating system and air conditioning system and is perfectly furnished to be used as a restaurant. 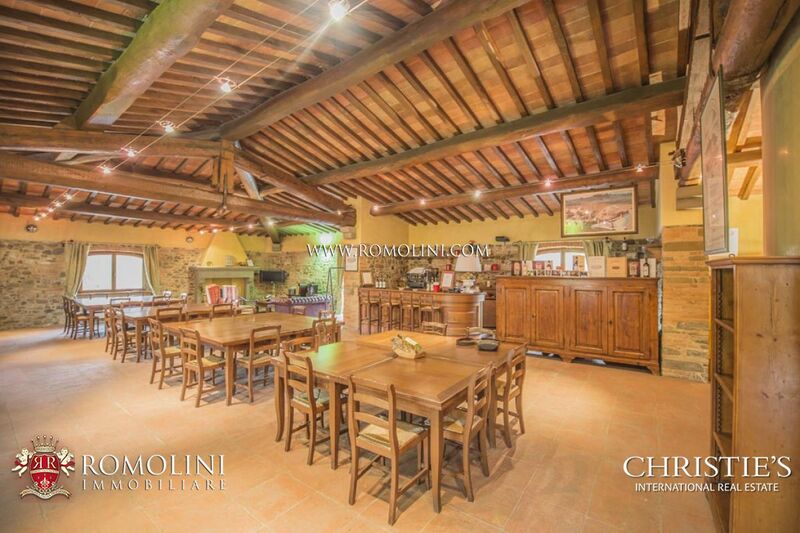 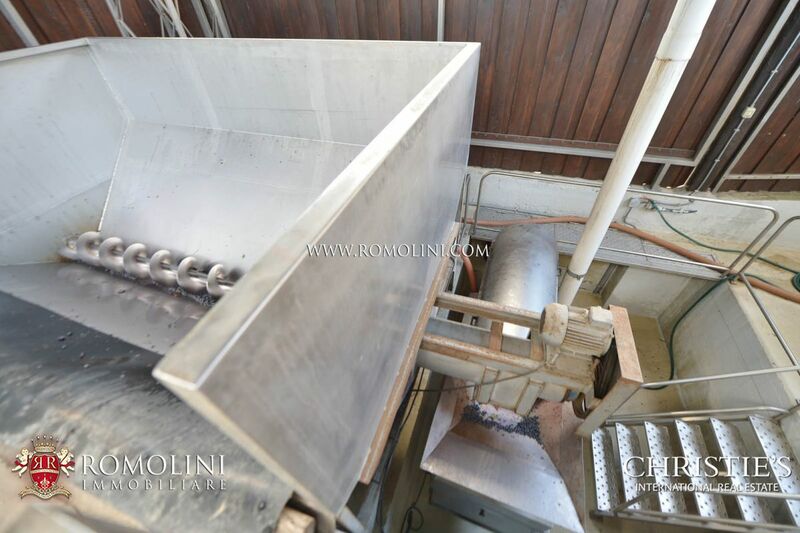 The Agriturismo (200 sqm – 2,152 sqft) is set on two floors plus a basement working as a warehouse and is surrounded by a garden. 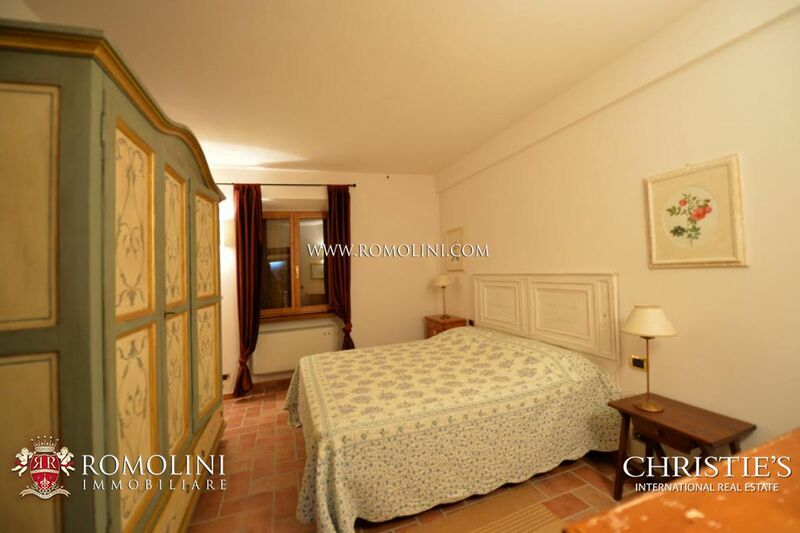 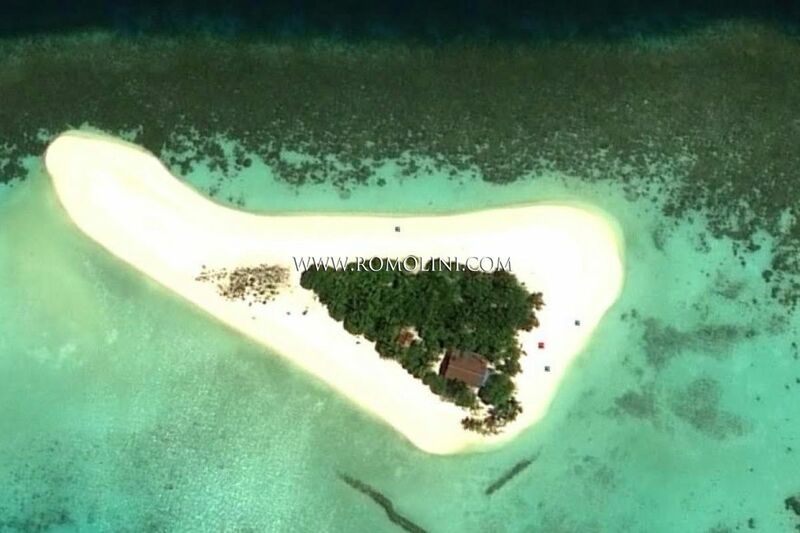 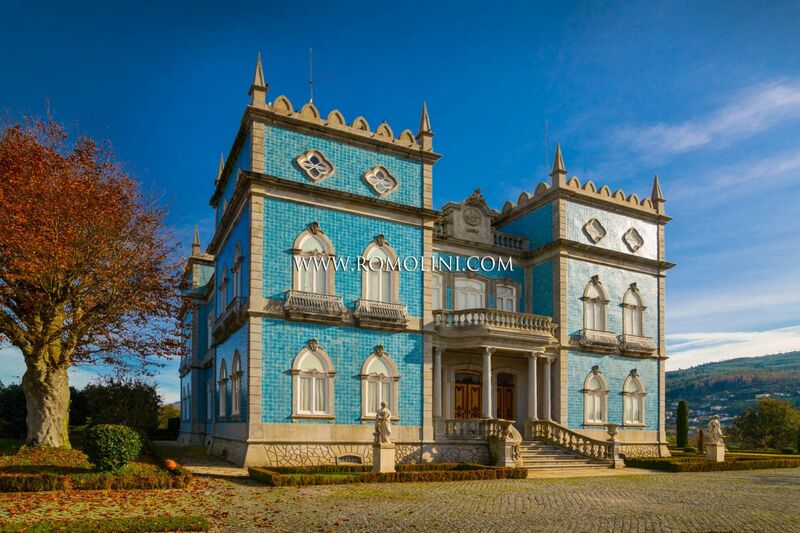 On the lower ground floorare located the technical room and two additional deposit rooms. 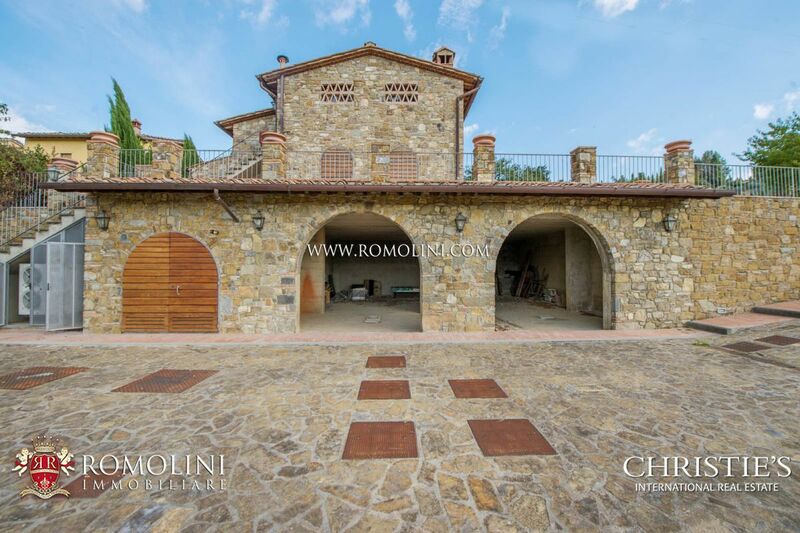 All the external patios, delimited with stone boundary walls overcome by iron balustrades are paved with stone and have a total surface of 598 sqm. 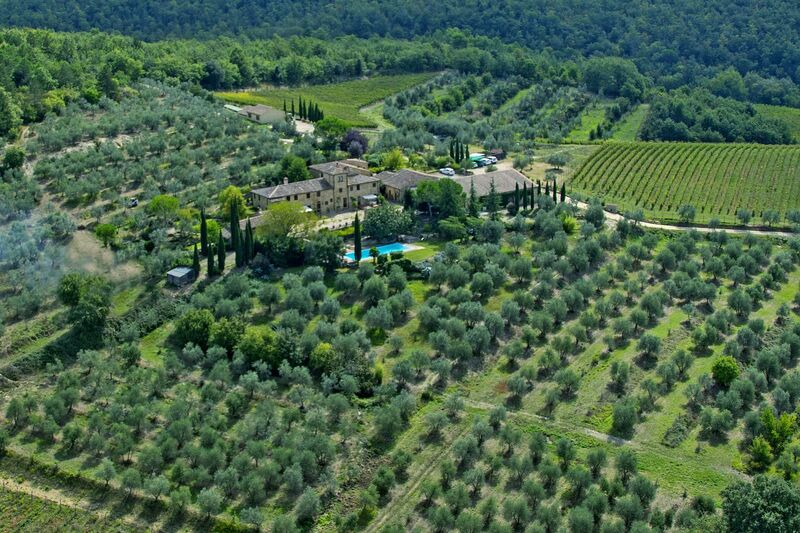 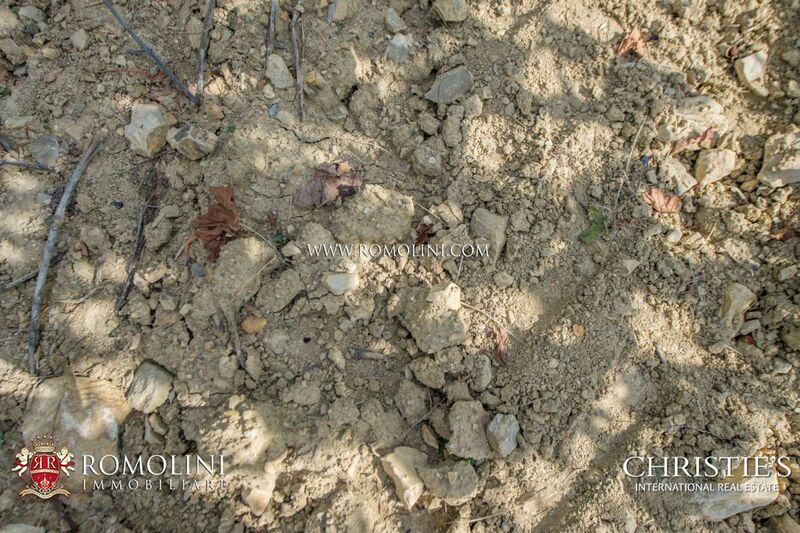 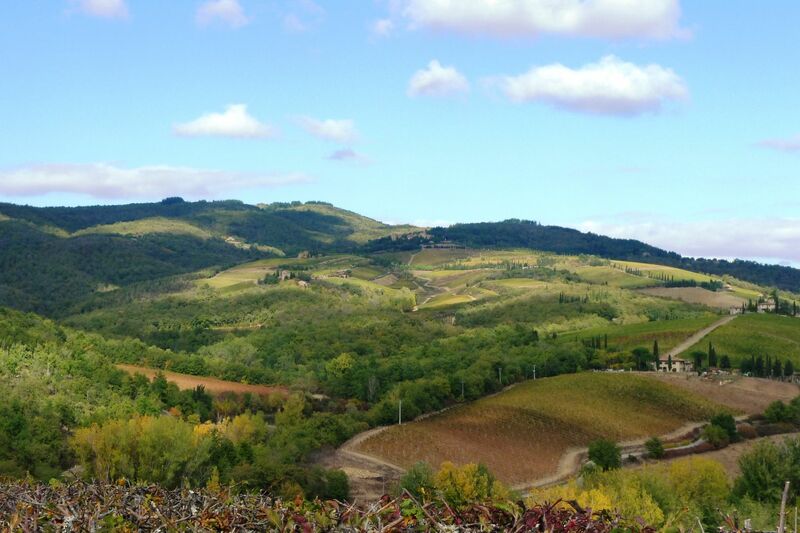 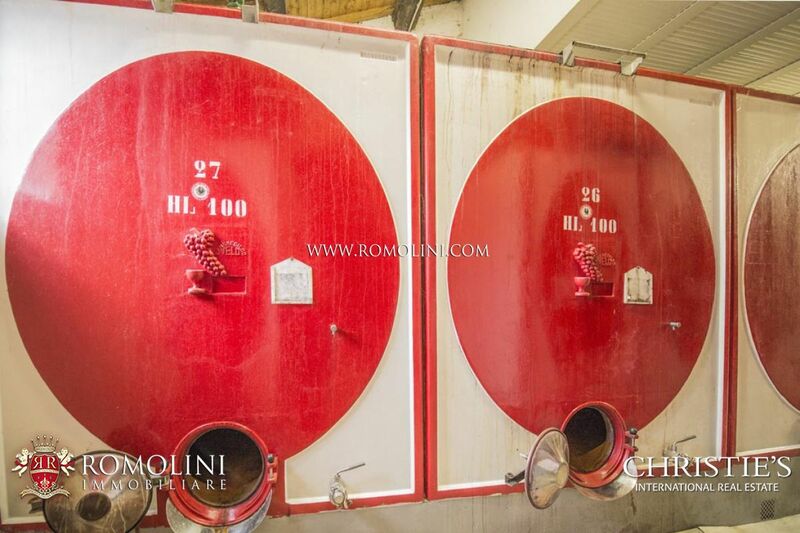 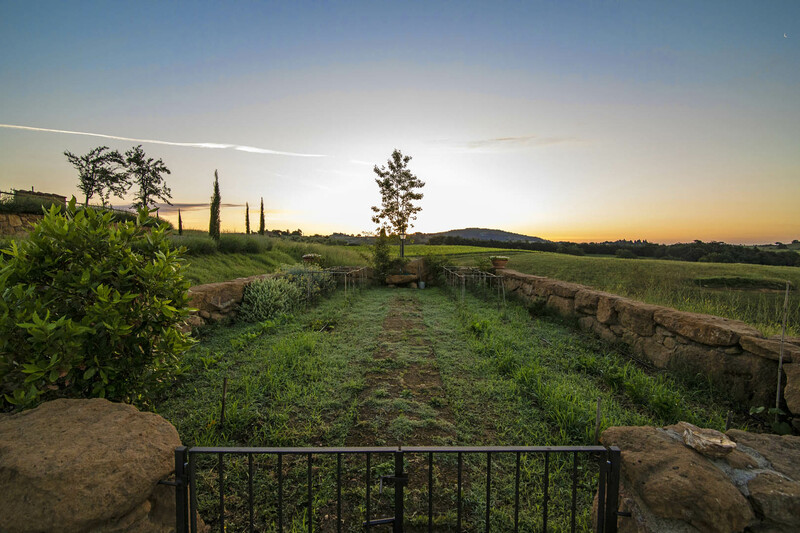 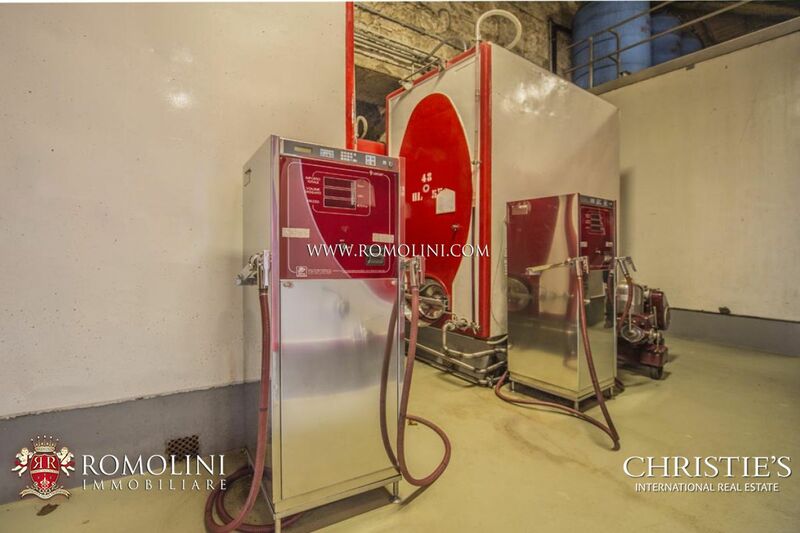 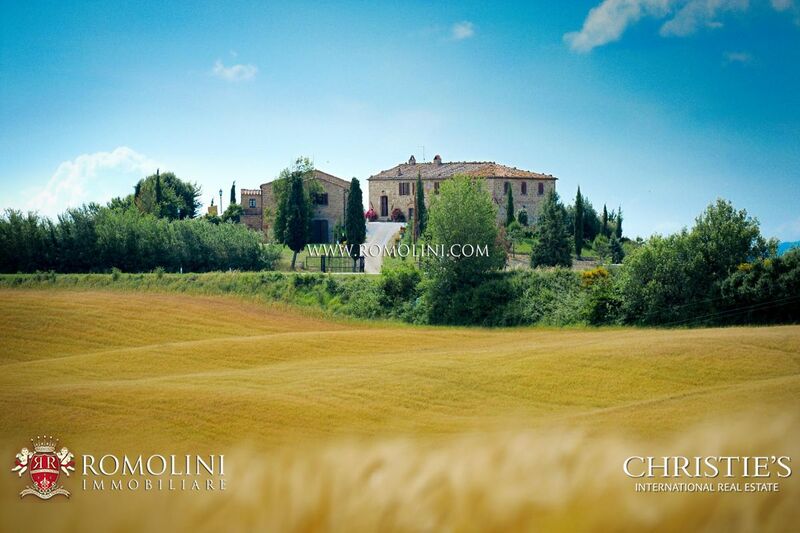 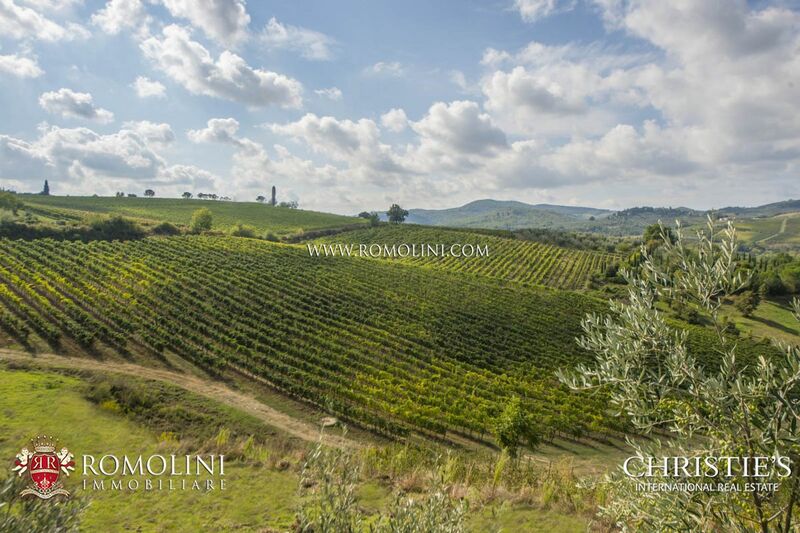 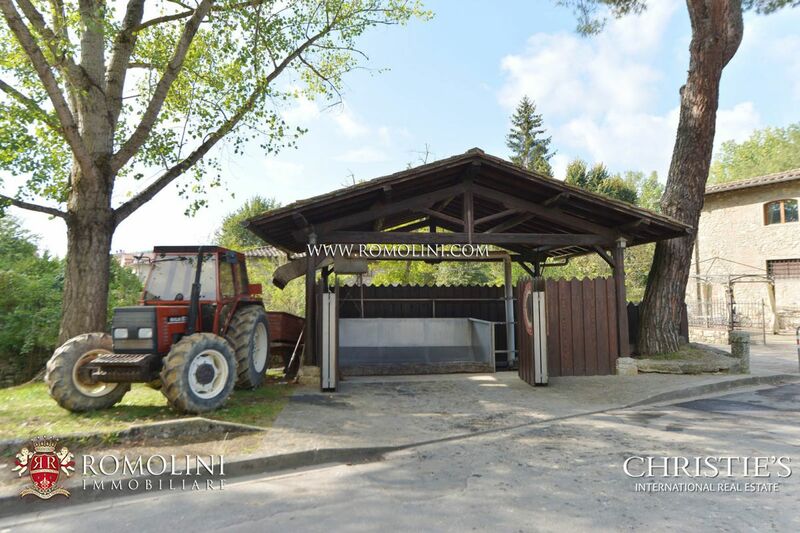 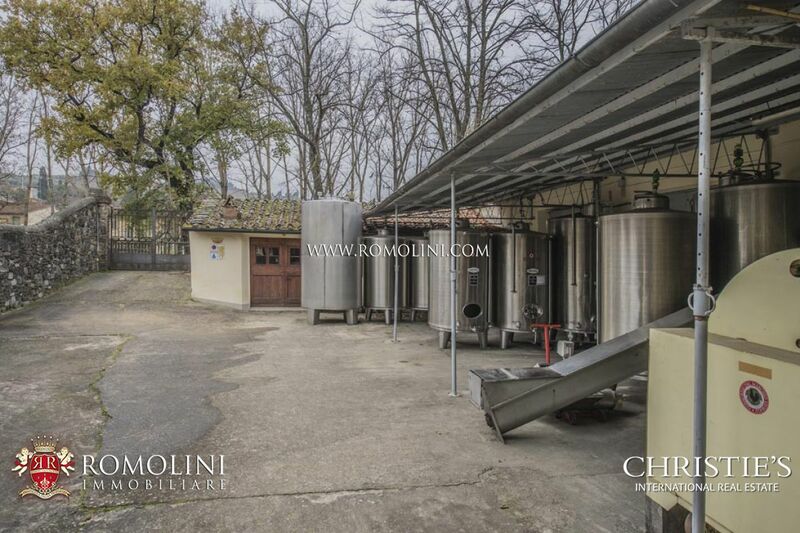 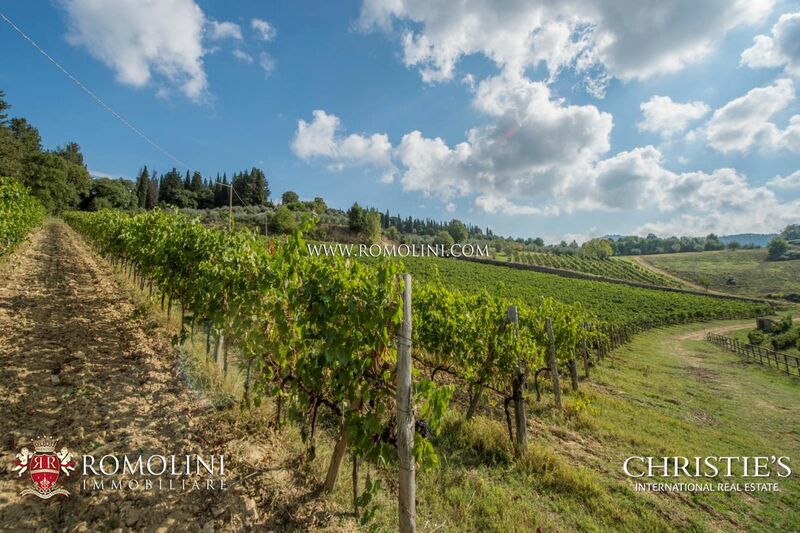 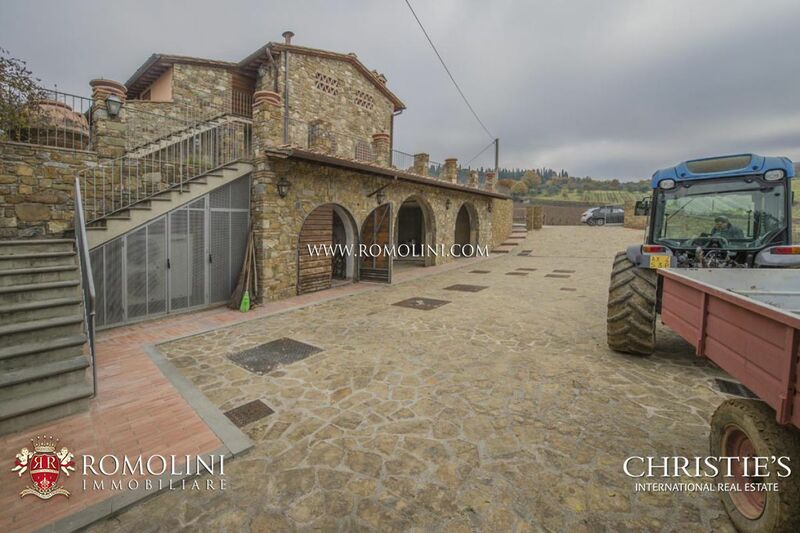 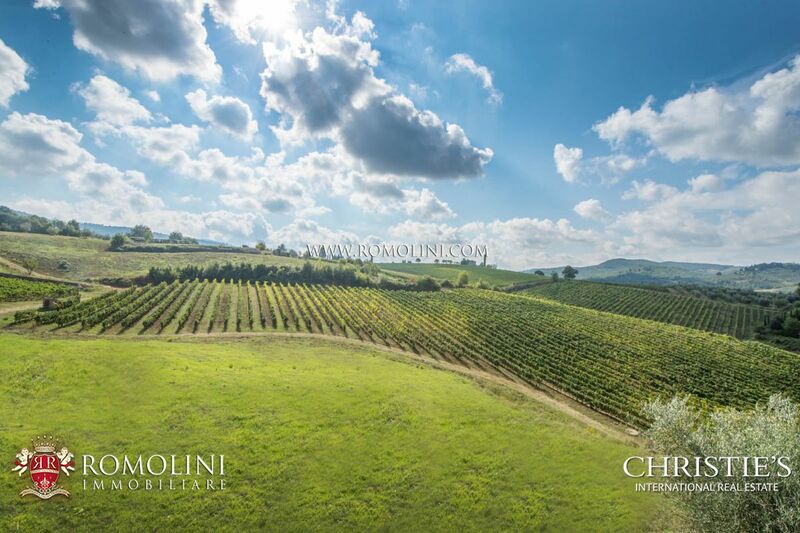 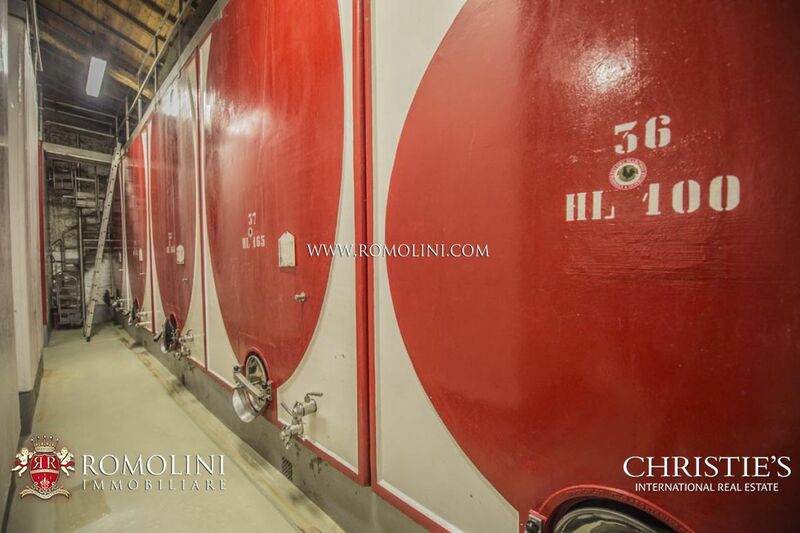 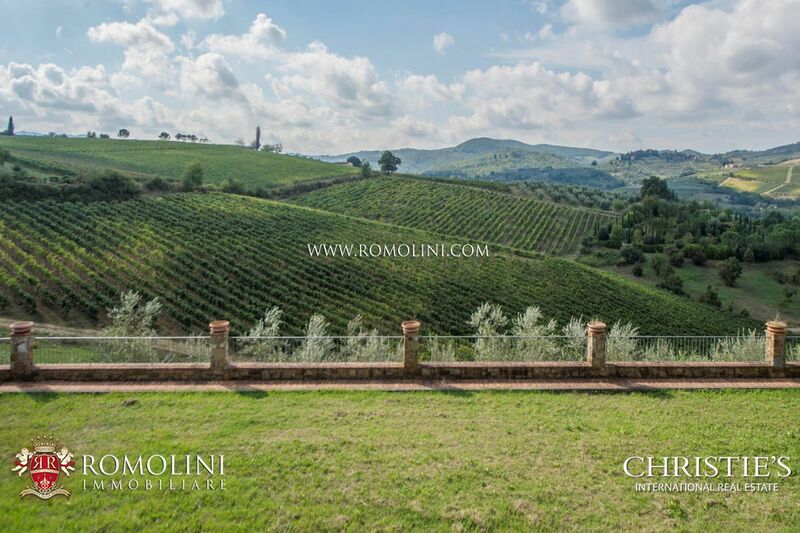 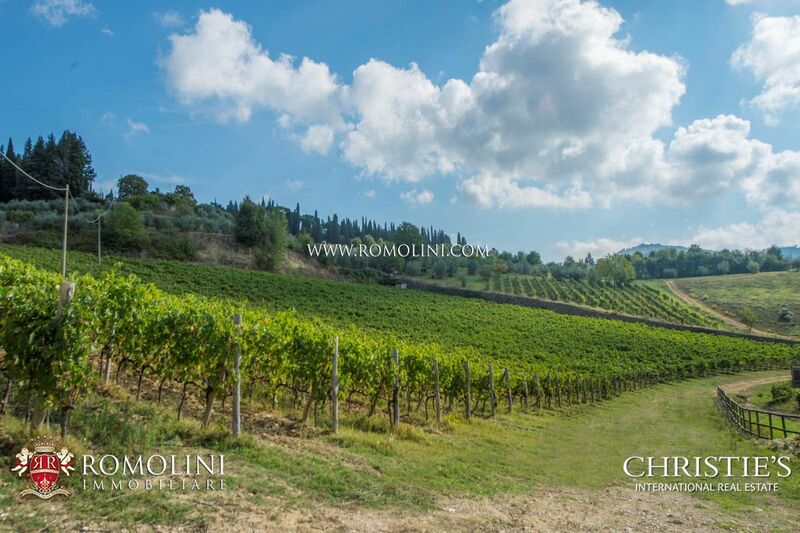 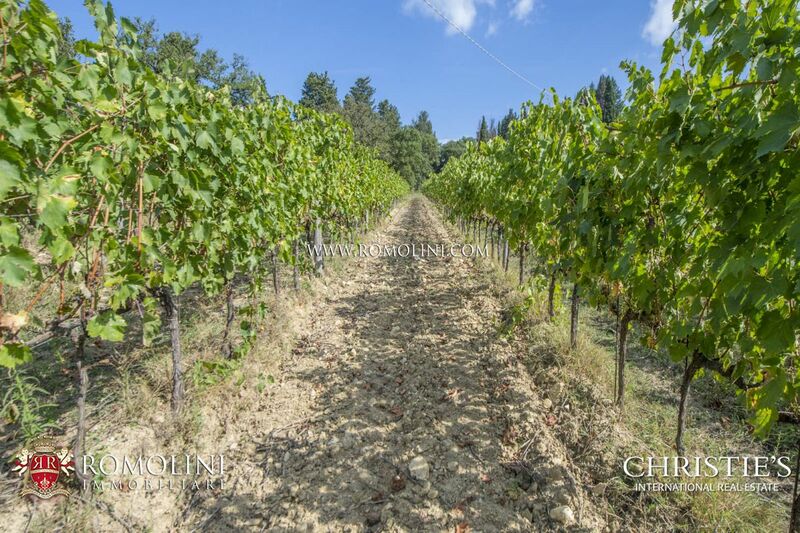 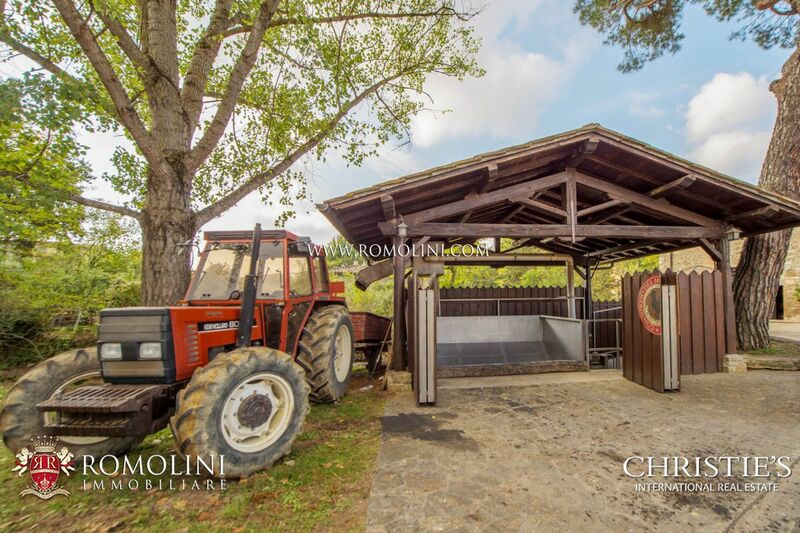 The property is completed by 31.6 hectares of land split among Chianti Classico DOCG vineyards (26 ha), olive grove (2 ha), woodland (3 ha) and agricultural land (0.6 ha), plus a 1,000 sqm garden, fitted with irrigation and lighting system. 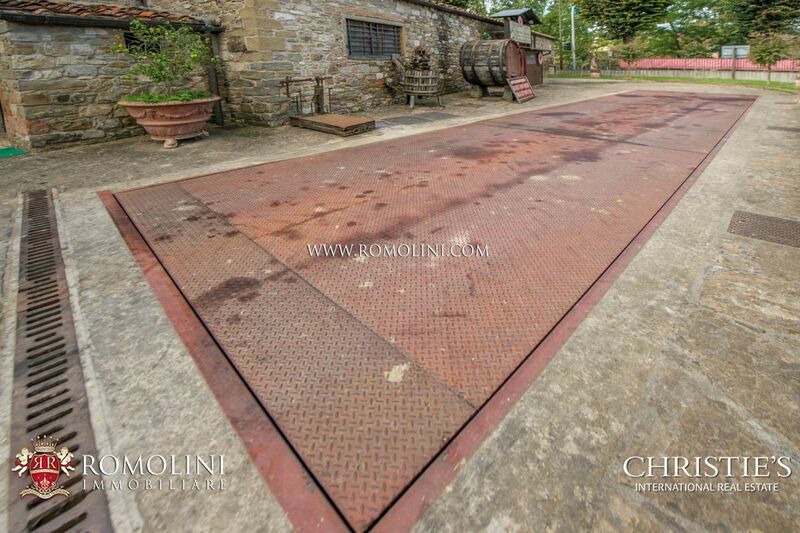 There is also a swimming pool being built in the garden.